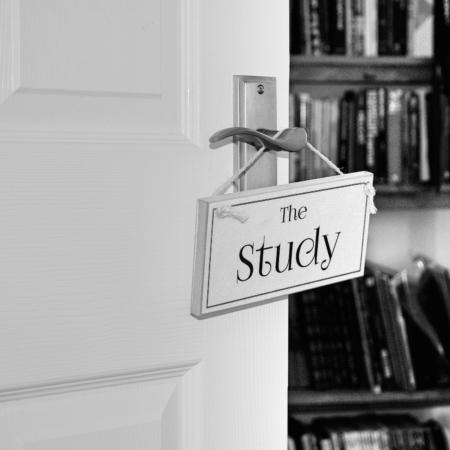 A great shopper for every day use. Perfect for carrying your purchases with out having to buy pesky plastic bags. 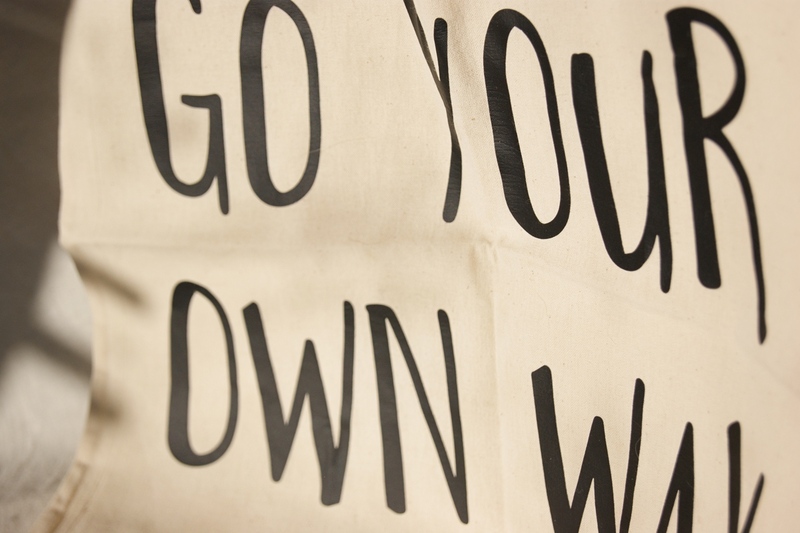 The natural coloured bag has black type with GO YOUR OWN WAY across the front of the shopper. Please read below for wash instructions. 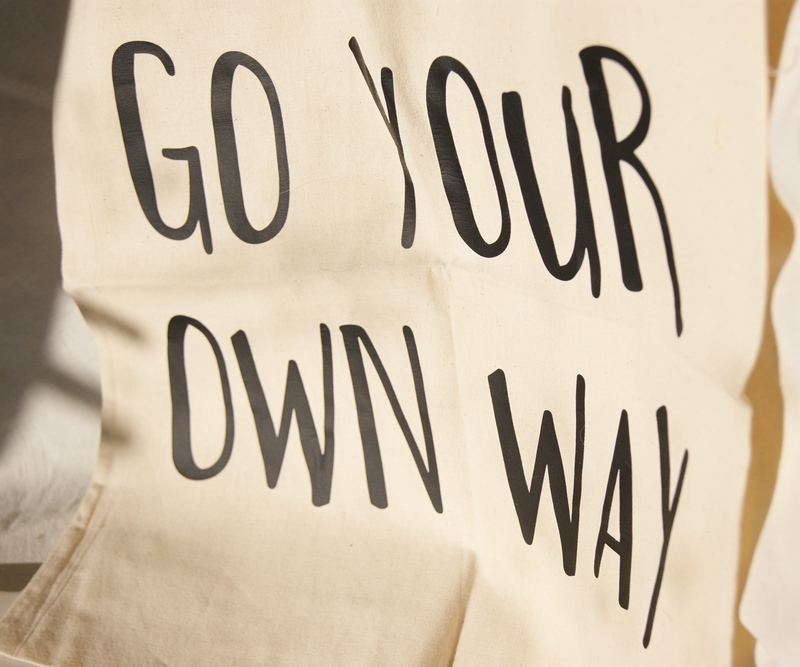 Go Your Own Way tote bag. A great shopper for every day use. Perfect for carrying your purchases with out having to buy pesky plastic bags. The natural coloured bag has black type with GO YOUR OWN WAY across the front of the shopper. Provenance: Screen printed in Sheffield. Care instructions: DO NOT IRON or wash in a machine, this can damage the writing. If you need to wash your bag please sponge wash with luke warm water. And try and avoid the writing. Air dry away from direct heat.